Home » Are the Stories of Black-Eyed Kids True? What Are Black-eyed Kids (BEKS)? Stories of black-eyed kids have been around some time. Supposedly, these are ghosts of children that appear to be solid-looking children, dressed a little old fashioned. The give-away feature are their eyes. They are black. No irises, no whites, just pure black. Reportings of BEKs come from all over the world, and the internet has helped to fuel interest in sightings. But are they true? We may never know for sure. One evening in 1995, Brian popped down to his local branch of Camalott to pay his ISP bill. He intended to leave a check in their night slot. The premises were situated near a movie theatre as well as a clutch of other retailers. While he was sitting in his car writing the check, there was a knock on the window. Two children were standing there. Boys, between nine and 12 years old. Brian opened the window a little and the nearest boy asked if they could get a ride back to their mom’s. They’d come to see a movie, Mortal Combat, but had left their money home. It would only take a few minutes. Brian felt a wave of inexplicable fear wash over him. He noticed that the movie had already started so there wouldn’t be much of it left to watch if he drove them anywhere and back. Brian drove out of the lot as fast as he could. He glanced in the rear view mirror but there was no-one there. Listen to or read Brian’s story. He’s pretty convincing. Interview with Brian Bethel. In a remarkably similar account to Brian Bethel’s, an anonymous source describes an encounter on a remote road in Utah. He’d stopped to take a rest during a long drive when two children, a boy and a girl, seemed to materialize out of the dark. They were wearing strange clothing and both had the same old-fashioned bowl haircuts. He immediately thought they must be lost and lowered the window to ask if they were OK and in need of assistance. As he approached the car, the leading child replied, “Yes, please.” Then the man noticed the child’s eyes. Dead black. The child requested that he let them into the car and give them a ride into town. But the man felt the most awful fear envelop him. He felt sheer terror and paralysis. His mind screamed at him to get the car window up and drive away, but his body refused to obey. The children appeared to be amused as he struggled to get his hand to move toward the window mechanism. The boy suddenly smiled and revealed teeth that seemed to be metallic. It broke the spell and the man managed to get his hand to the window. His terror increased as the kid grabbed at his sleeve. The shock made the man shove the kid back as hard as he could and a look of surprise crossed the child’s face. In the next moment, the man managed to start the car and the boy somehow, in a split second, had moved to the front of the vehicle. The man didn’t hesitate—he drove straight at him. The kid thumped the car angrily but the man carried on. The kid was knocked out of the way and when the man checked his mirror, the child was standing up and brushing himself down. He kept driving. Cannock Chase is designated as an ‘Area of Outstanding Natural Beauty’ (AONB) in the county of Staffordshire, in the West Midlands. The area is notorious because three young schoolgirls were murdered there in the 1960s. Paranormal investigator, Lee Brickley tells of an account given by a mother picnicking in the area with her daughter. They heard a child calling for help so they ran towards the cries. They couldn’t find anyone. They stopped to get their breath and for some reason the mother was compelled to turn around. There was a little girl standing on the path behind her with both hands over her eyes. She looked about 10 years old. The woman asked her if she was all right and was she the one screaming for help. The girl slowly lowered her hands to her sides. Her eyes were completely black. The woman stepped away quickly and grabbed her daughter. When she looked back, the little girl had disappeared. Watch Part 2 of the documentary, Ouija, Dicing with Death? Film makers, Dale Makin and Justin Cowell discuss the black-eyed children of Cannock Chase. The Cannock Chase material appears 22 minutes into the documentary. BEKS: Urban Legend or Actual Ghosts? 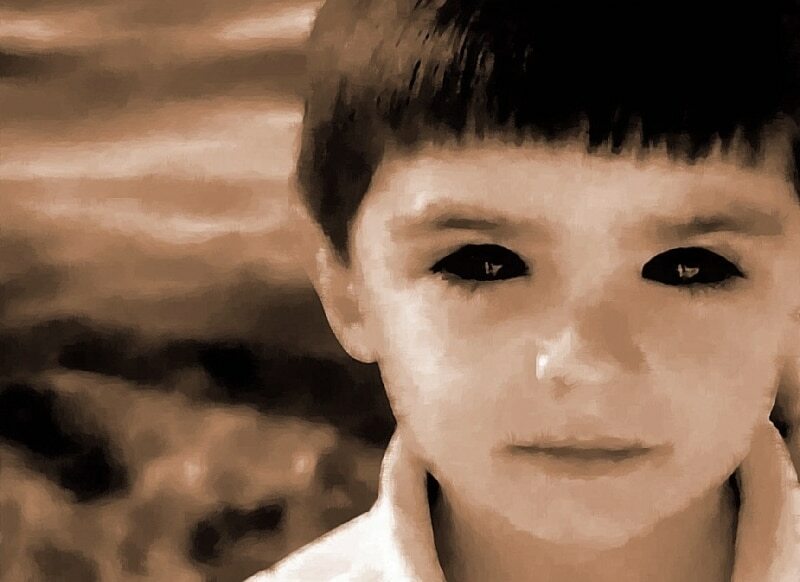 Black-eyed kids are described as children between the ages of five and 15. As well as having completely black eyes, they are said to usually be dressed in unusual or old-fashioned clothing. Some are said to wear Victorian dress. They have a quiet, unremarkable demeanor. The visits seem to follow a pattern. They often ask to be let into the house to use the phone, or that they need help. They say that they can’t come in unless they are invited. People who encounter them report feeling terrified and often experience a compelling physical sensation of not being in control of their actions. Some say they move towards their front door against their will and that it takes a huge amount of strength and concentration to resist the force. Skeptics say that the black-eyed children legend started with a Creepypasta story, but others say that tales of BEKs have been around a lot longer than that. What do you think? 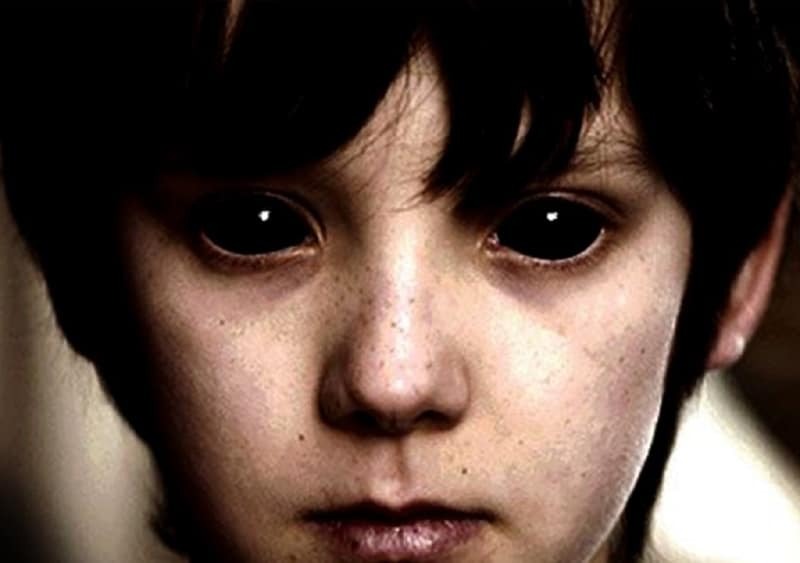 Have you ever encountered a black-eyed child? Do you know someone who has experienced anything similar to the stories above?